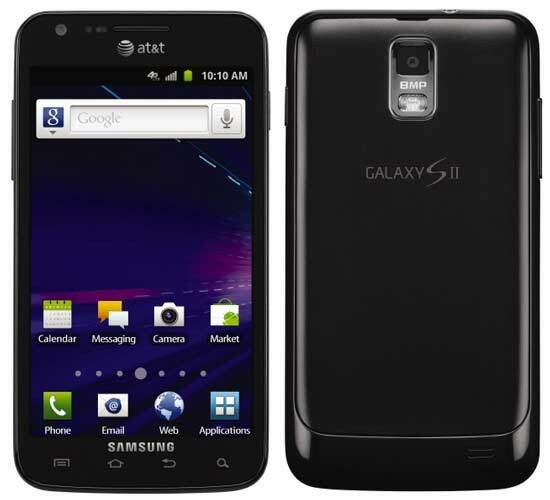 AT&T announced the Samsung Galaxy S II Skyrocket, first 4G LTE enabled to mark the newly-founded LTE network of the carrier. At the same time they also announced the HTC Vivid, which is 4G LTE enable too. Samsung Galaxy S II Skyrocket will arrive in AT&T company-owned stores and online November 6. The Galaxy S II Skyrocket is like the Galaxy S II but with a bigger, 4.5-inch SuperAMOLED Plus screen, running Android Gingerbread 2.3.5 and a speedier 1.5GHz dual-core processor and a 1GB of RAM. And at the back an 8-megapixel camera will shoot 1080p HD video, which will be saved on the 16GB built-in storage, expandable with up to 32GB microSD card. AT&T launched its LTE network in September for five cities - Atlanta, Chicago, Dallas, Houston and San Antonio. Now though, with the launch of the Vivid and the Skyrocket, the LTE availability will be expanded to Boston, Washington, D.C., Baltimore and Athens, GA. The Samsung Galaxy S II Skyrocket will arrive in AT&T company-owned retail stores and online Nov. 6 for $249.99 with a two-year commitment. Samsung Galaxy S II Skyrocket will be offered with two data plans for you to choose from. For $15 a month you can get 200MB of data or if that's not enough, you can also get 2GB of $25 a month. An additional 1 GB of data is $10. Customers who want to use their device as a mobile hotspot can sign up for DataPro 4GB for $45 a month, which lets you tether or share your data connection across multiple devices. Check out AT&T website to know more about Samsung Galaxy S II Skyrocket.